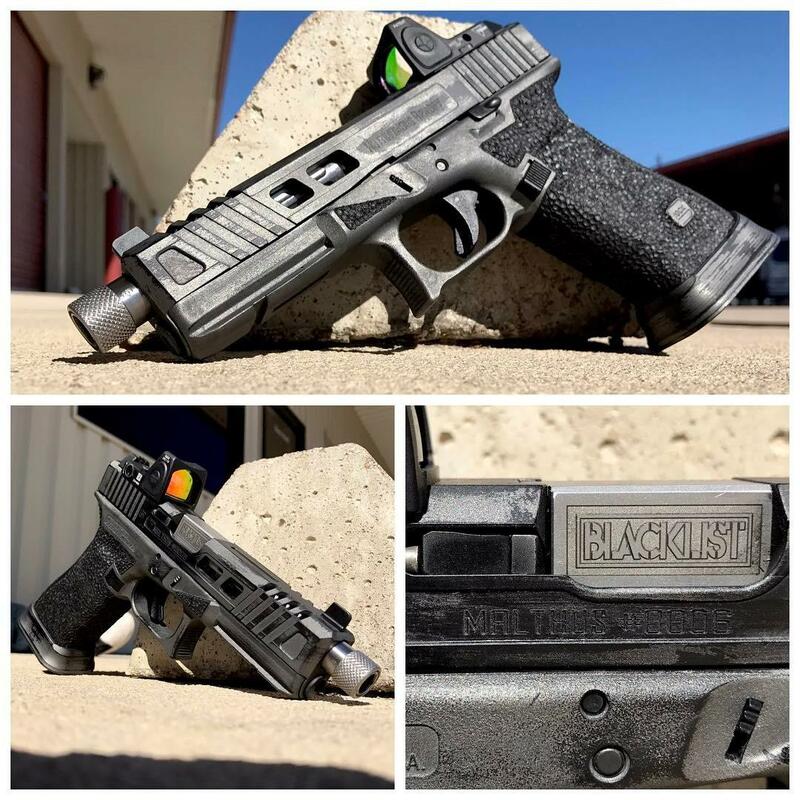 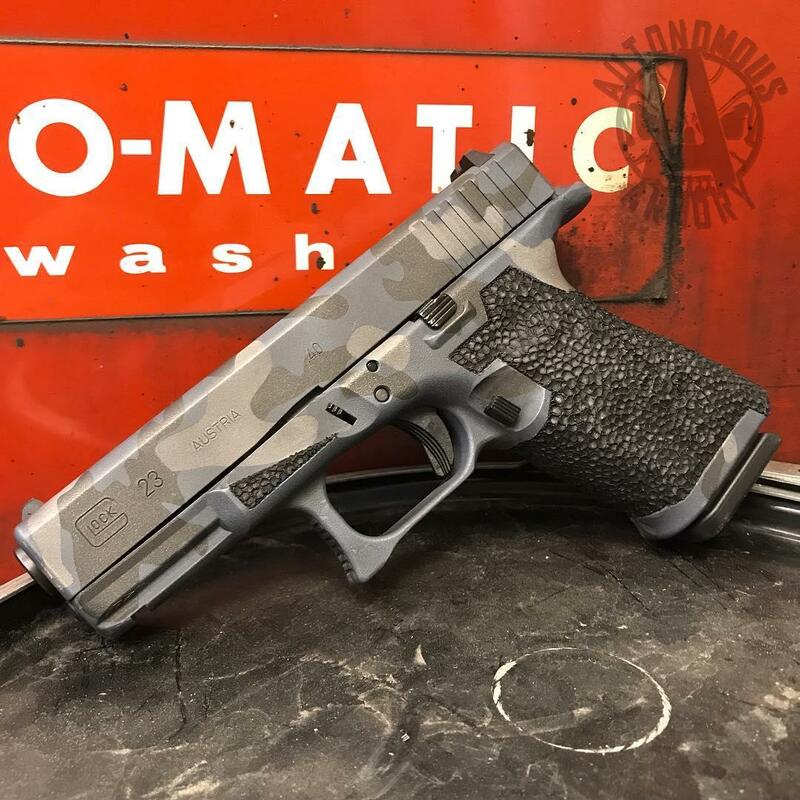 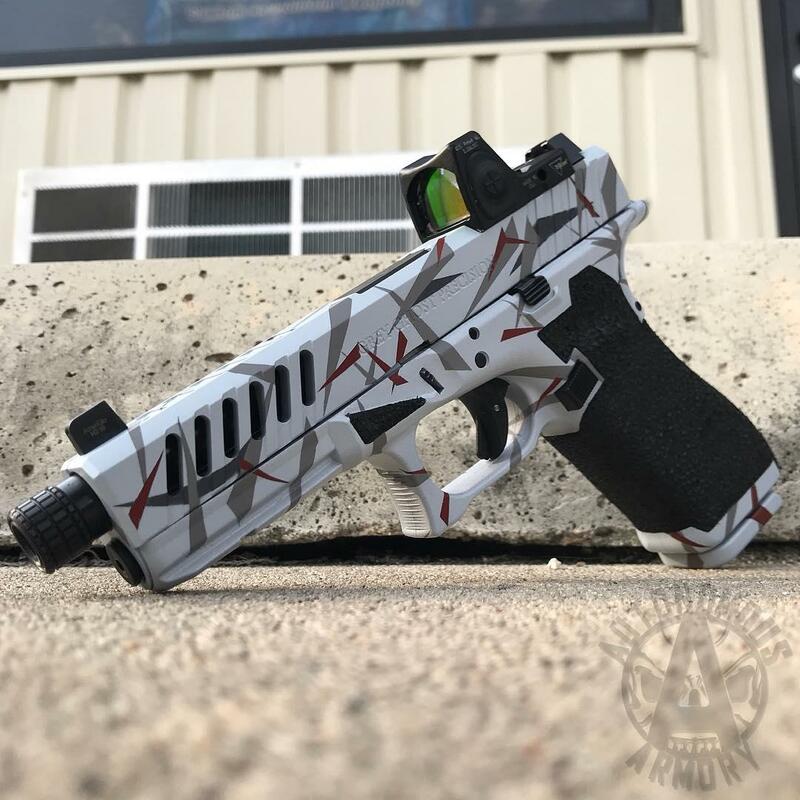 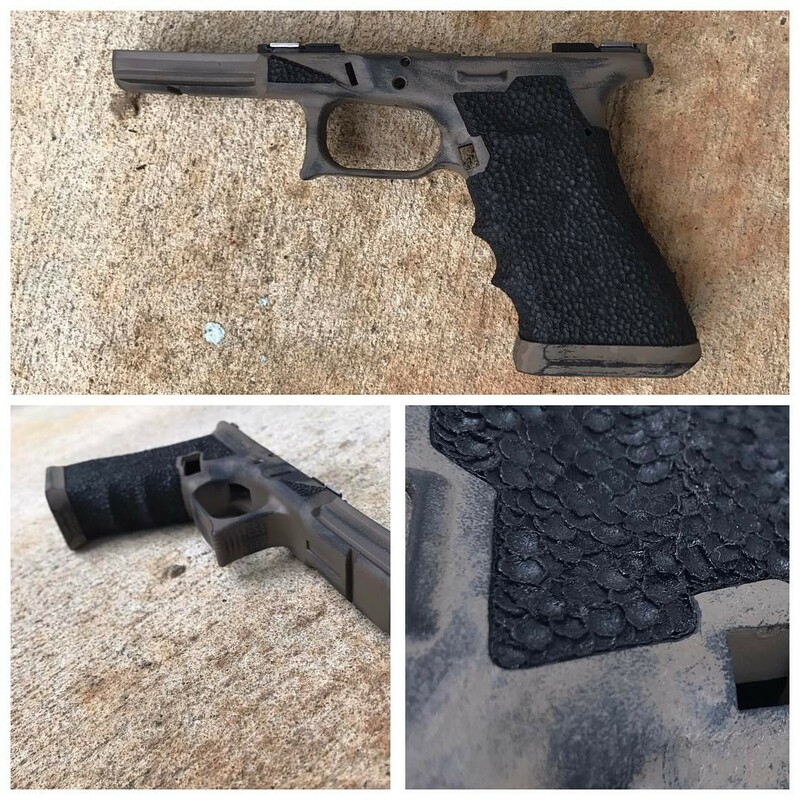 Building off of a Glock platform, our base Malthus guns include a full grip package that includes finger groove removal, mag release bevel, grip reduction, forward index ledges, recessed borders, usable stippling, raised purchase points and a thinned out trigger guard. 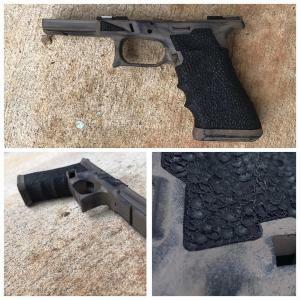 Base Malthus also includes our slide cuts that were designed specifically for function while maintaining structural integrity. 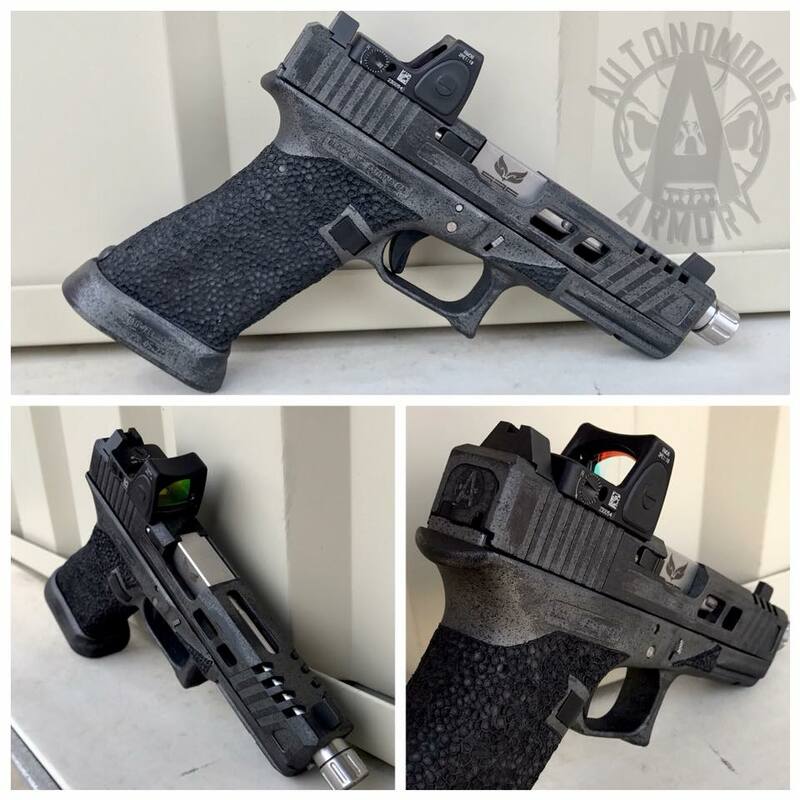 Our Malthus Crown package includes all from the base package, adding a trijicon rmr of your choice, a blacklist industries barrel and magwell, a RPS trigger shoe, OEM minus connector, suppressor height sights, a compensator, a 13lb guide rod spring, and any cerakote up to 5 colors. 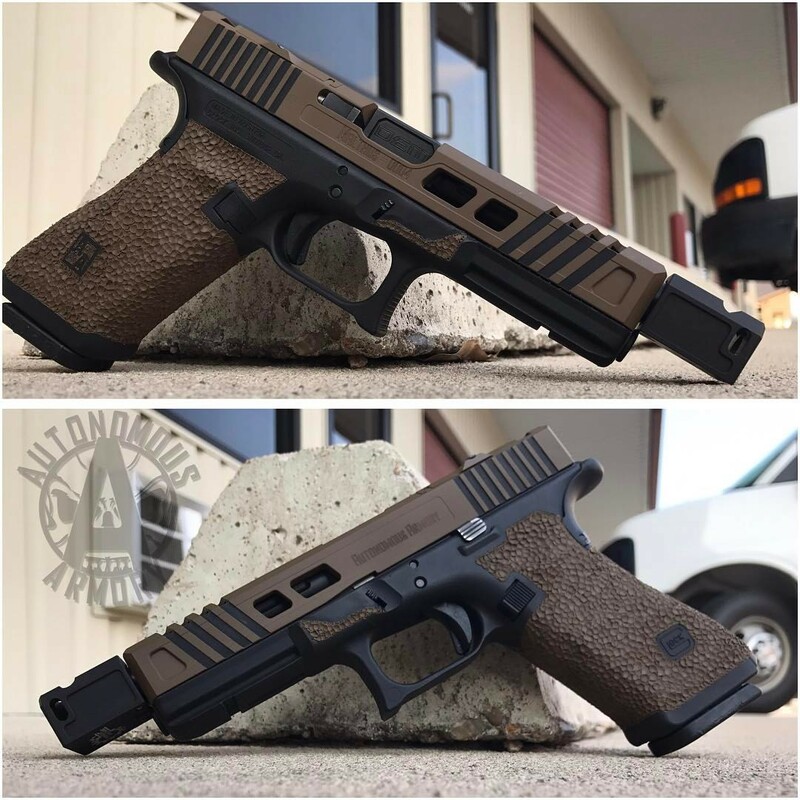 Grip work consist of much more than just stippling. 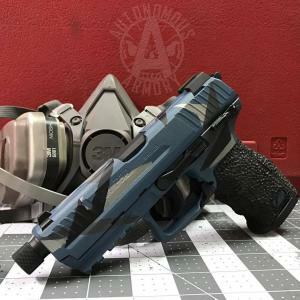 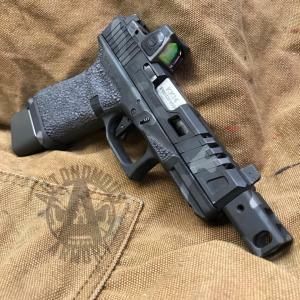 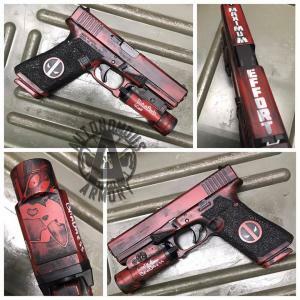 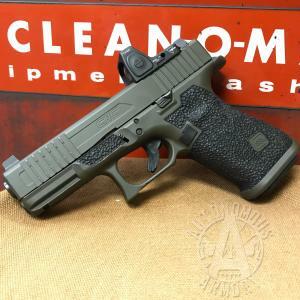 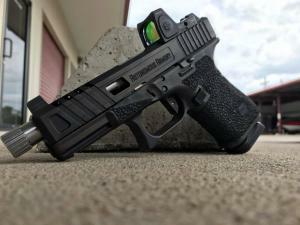 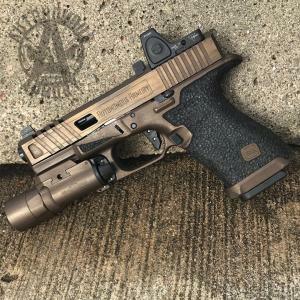 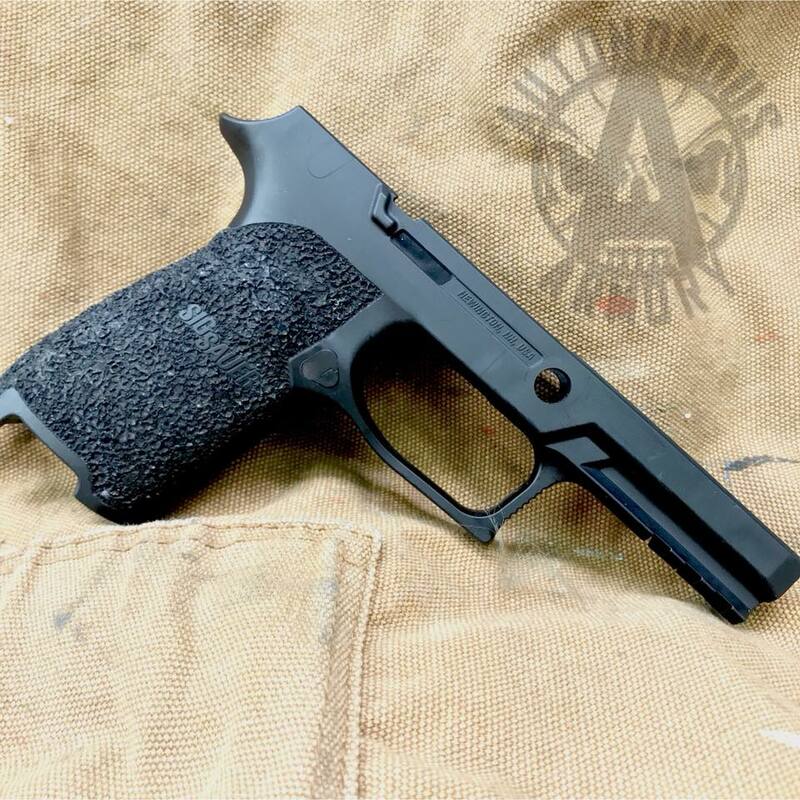 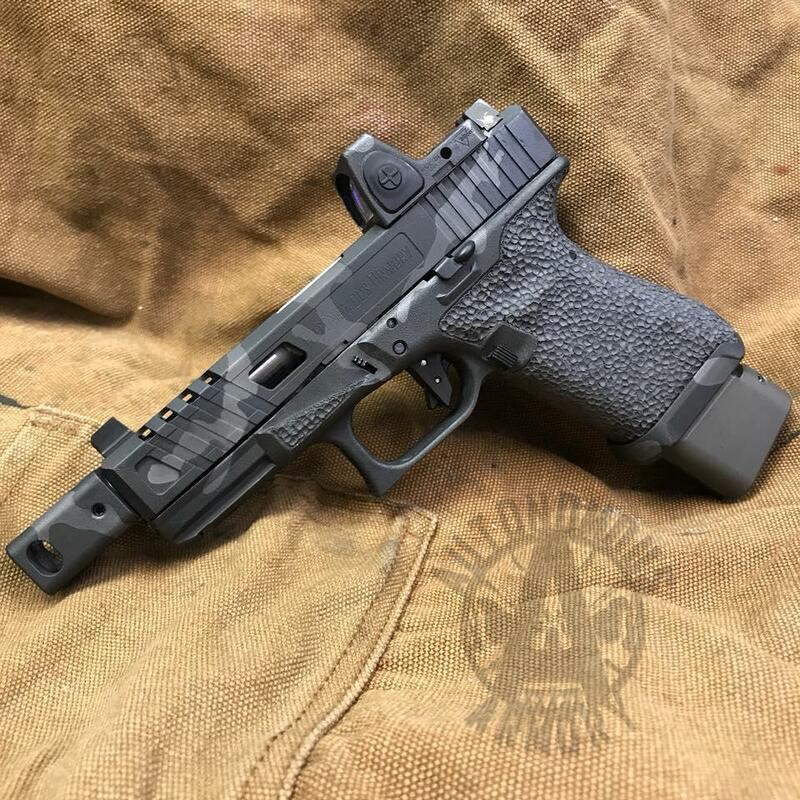 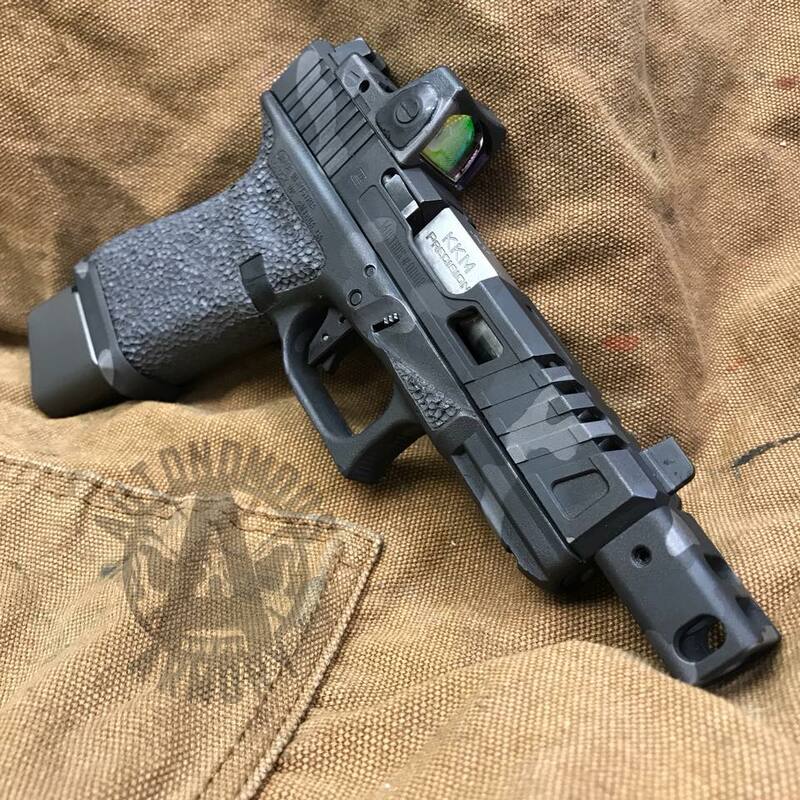 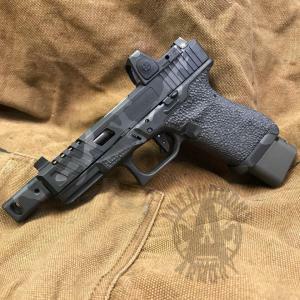 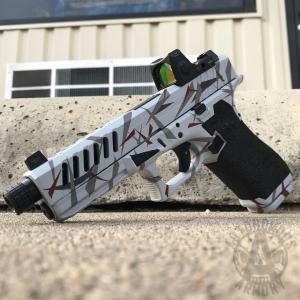 Our standard grip packages can include any or all of the following; finger groove removal, mag release bevel, grip reduction, forward index ledges, recessed borders, usable stippling, raised purchase points and a thinned out trigger guard. 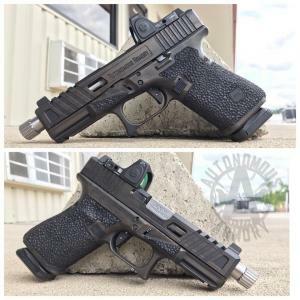 These can also be done individually if you are just looking for one of our modifications. 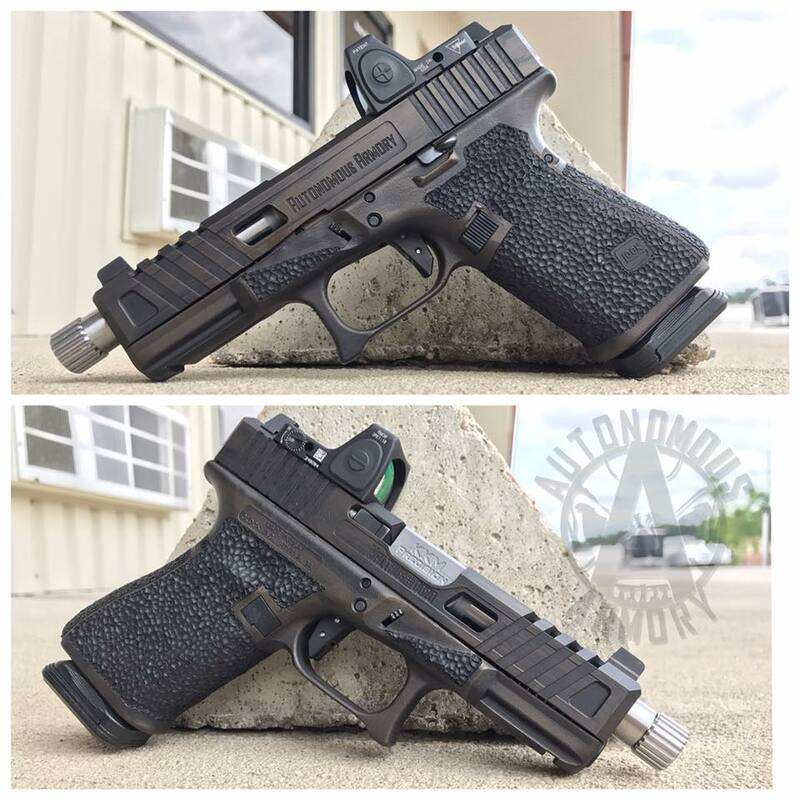  Email for specifics and pricing.